Our Center has its beginning when our late sister Maria Martin, better known as Cuca, and Gerbacio Gizan were invited by our late brother Osvaldo Quintana to attend a meeting in the house of our late sister Betina. 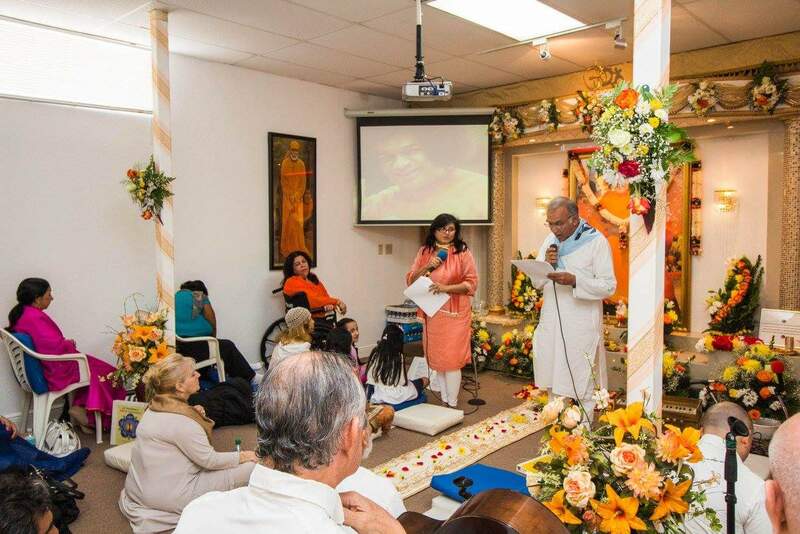 At the time, her center was the only Sai center here in South Florida. 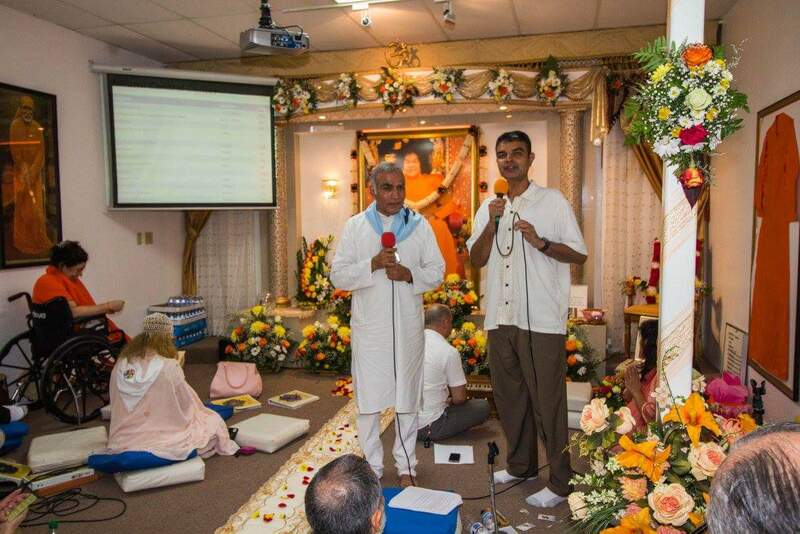 New guests were only allowed to visit on the last Thursday of the month, where they showed a movie of Swami. Our sister Cuca did not speak English. 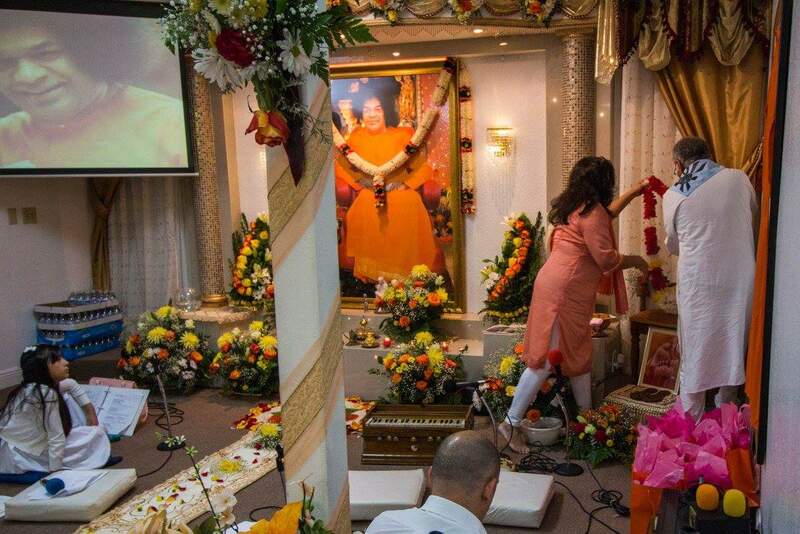 However, she told us of an unexplainable love for Swami that was created in that very moment. She instantly decided she had to meet him, and a year later she was in India. The center was authorized but still had no venue where everyone could sit together, celebrate, and spread the knowledge. Our sister Cuca was living in a small duplex at the time, in which she had rented a second room to a friend. 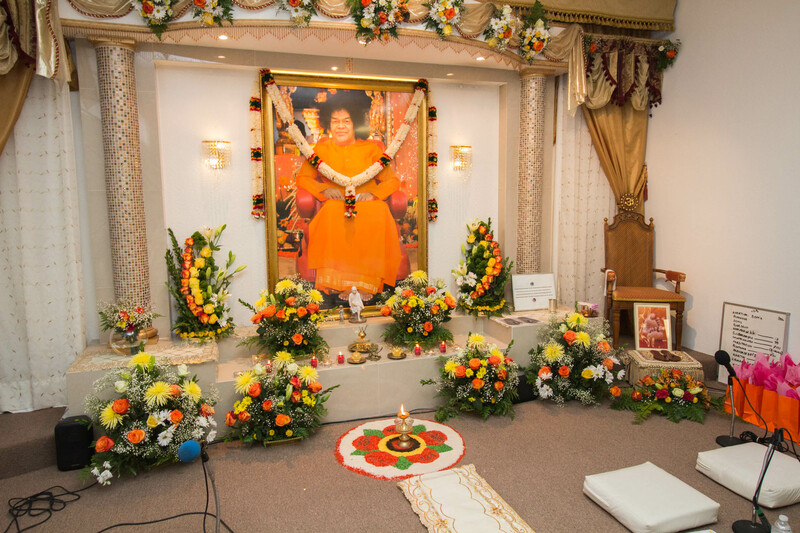 She spoke to Bhagawan, in her hearth, and said, “if you want the center here in my house, I leave it to you.” Days after, the friend who was staying in the second room came to her and apologized that she had to leave, for reasons we don’t recall now. Once the friend left, they started the preparation for the first service in Spanish. 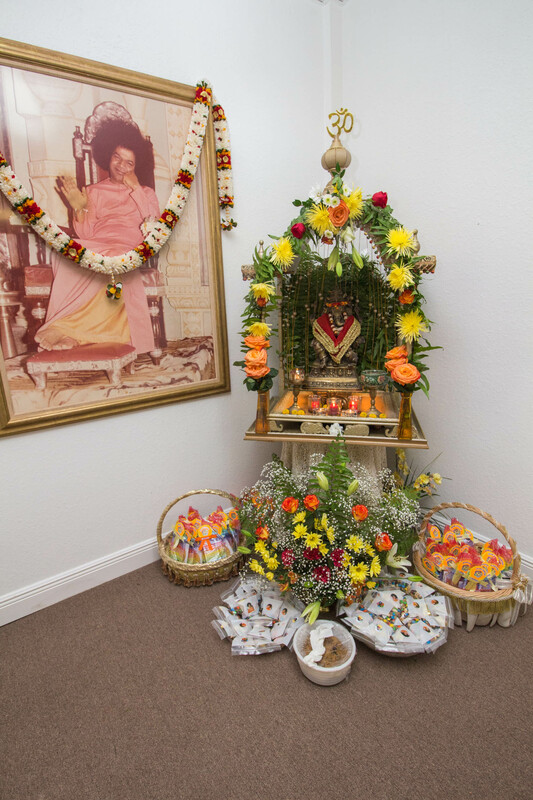 Finally, on June 14 of 1981, with the blessing of ou beloved Bhagawan, we had our first service. The room was too small from the beginning. Nonetheless, everyone was excited to make it work. 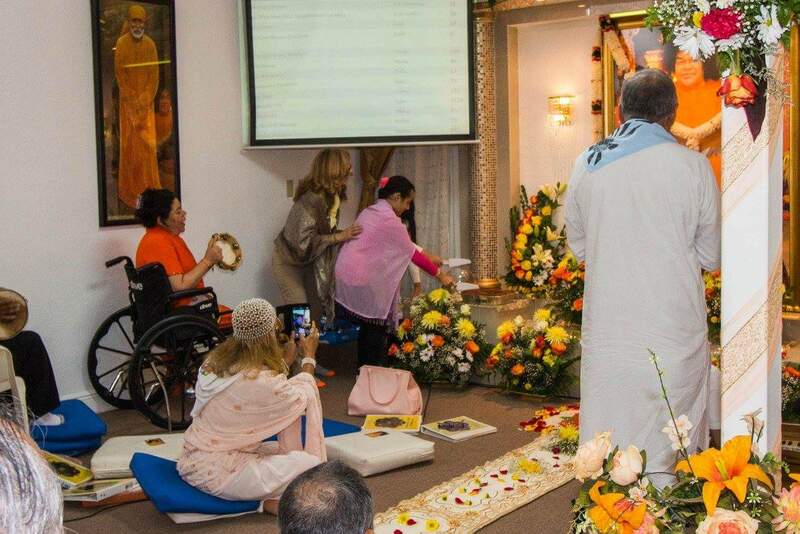 People sat in the corridor and even in the living room where they could not see the altar. Soon, they had to break the closet to unite the bedroom with the living room, yet space still remained tight. This situation remained as such until the mid-nineties. Then a devotee, Mr. Armando, approached our sister, Cuca, and offered her the place we sit in today. This year we are celebrating our 35th anniversary. 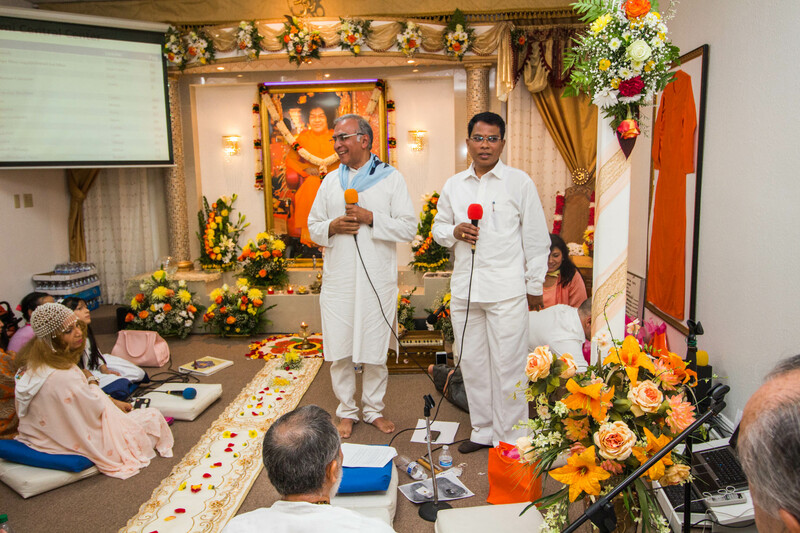 All the directors, as well as the members of the center, wanted to create a “garland of 35 services” in honor of our beloved Bhagawan. We felt this would be the best way to thank Him for coming into our lives. Before I begin telling you about some of things we have done as part of our “garland of service”, I would like to thank all members of this center. For those who may not know, there are some members who have no work, no transportation, some have health problems and no have medical insurance. 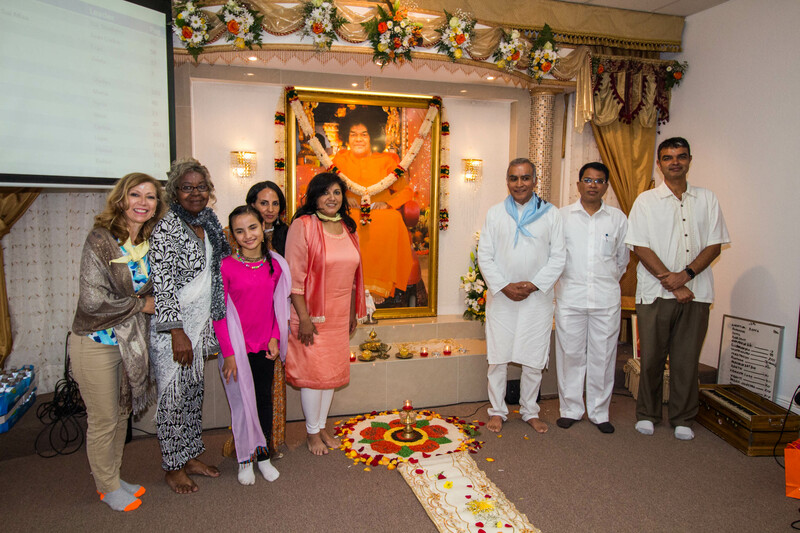 Everything we do, we try to do in harmony as a family, the Sai Family. Now, I will begin telling you about the services done in Chronological order. Also, every first and third Saturday of the month, we serve at two different nursing homes located at Residential Plaza; The Blue Lagoon and the Fair Haven Center in Miami Spring. It will be a total of 24 services in this year. We have also been collecting vegetarian foods. When we have enough, we deliver these food items to a Church in Fort Lauderdale. We have an old, long-time devotee, Idilia Balcera, better known Mamasita. She had a daughter named Miroslava Obrenovic , better known Mirita. One day Mirita told her mother that book are not meant to be stored on the shelves. Rather, they are meant to be read. Inspired by these words, and with an excess of Swami’s book, we divided our books in two groups. All the books were seated with a center address. 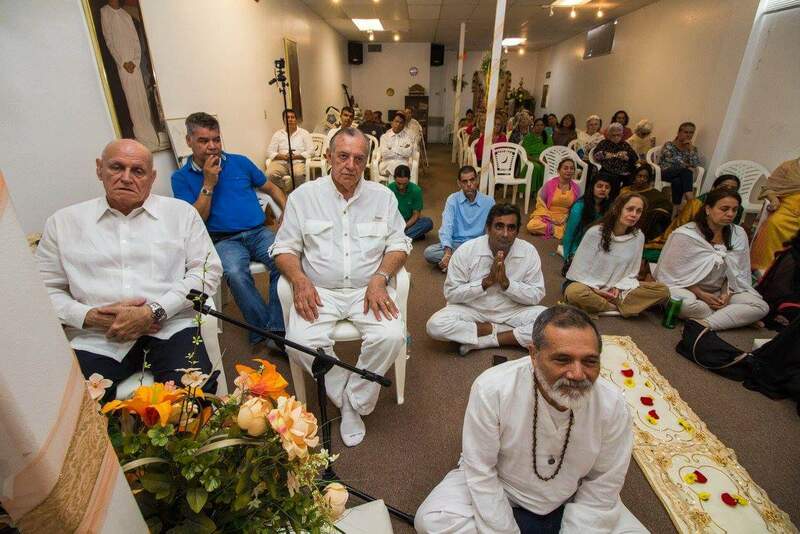 The first group of books was sent to a Sai Center in Cuba. Here you will appreciate the moment when our sister Zoila made the handling over of the books to the president of the Cuba Center. The second group of books was sent to a women’s prison in Miami. We were not allowed to take picture of the handling over the books. In another service, we collected and distributed children’s books to a school in one of the very poor areas of Miami. We distributed clothes; we packed those with the following instructions from our sister Maria Isabel. On the pack, we wrote down the size and cloth description. They were distributed to the Church of Santa Ana Mission in Homestead. We sent water, food, medical equipment like oxygen tank, crutches, wheelchairs, medications, and clothes to the victims of the earthquake in Ecuador. We did another service, where we collected and sent eyeglasses to Cuba.